Google Maps, the enormously popular mapping service with 1 billion monthly active users, showed off its latest advances today. The announcements, while impressive, seem to be an evasive maneuver ahead of next week’s World Wide Developer Conference, in which Apple is expected to announce that it will drop Google Maps from its mobile operating system. The most exciting news from the event is that the data-hungry mobile Maps app will now work offline. The Google Maps team is making downloadable versions of their maps that can be stored on mobile devices (but Android will get it first). Together with the compass feature on the smartphone, you can navigate a city without being connected to a 3G network. “This provides you with familiar Google maps whether or not you have an internet connection,” said Google product manager Rita Chen. Google expects these maps to be most useful for people without data plans and for those traveling outside their usual coverage area, as on international trips. Luc Vincent Engineering director, Street View, also showed off Google’s Trekker camera, a backpack-mounted panorama grabber that will allow the maps to go off-road. It’s under 40 pounds, runs on two lithium batteries for a whole day, and runs on Android. 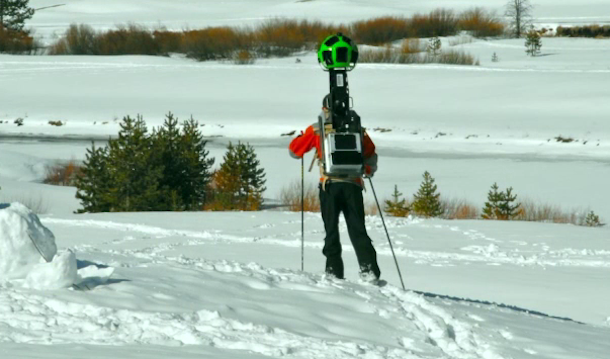 Vincent’s taken it skiing, but wants to take it to the Grand Canron, Venice, castles, and other places in the next stage of Google Street View. Google has been working on delivering 3D models of cityscapes for the past six years. But until now, those have mostly involved computer-generated rendering of structures. 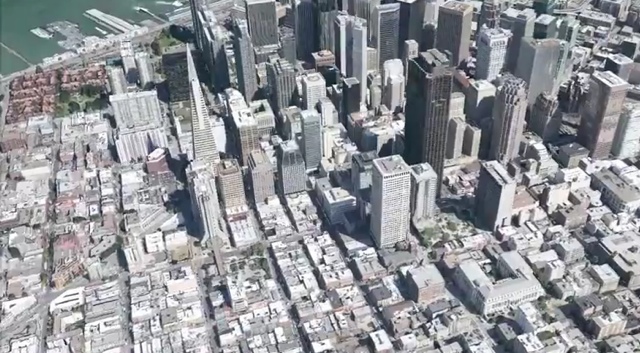 Google is now using planes to fly over metropolitan areas and capture real-world images of city structures and then using that imagery to build photorealistic 3D images of cityscapes, as in the image of San Francisco below. 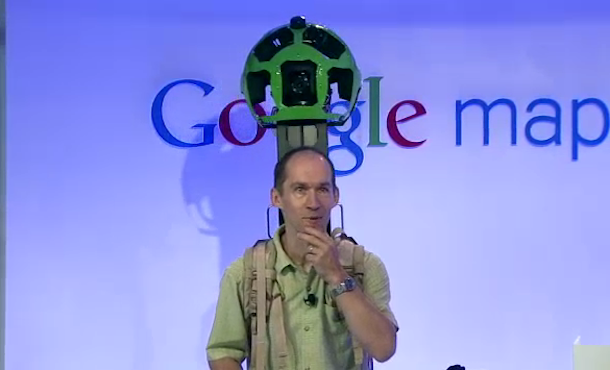 Google will be delivering the 3D enhancements to iOS and Android “in the coming weeks” for a few select cities. Google wouldn’t talk specific numbers, but Birch did say that by the end of year, it would include communities covering 300 million people. — E.B. Boyd contributed to this report.